In our travels of the world, we’ve discovered that Knopf’s Mapguides are the most useful travel guide and map. These mini-books divide cities and regions into 5-7 different sections. 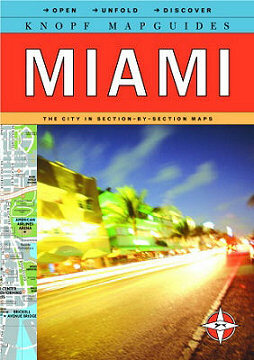 Each section contains a map of the area and summaries of suggested attractions, restaurants, bars, and shopping. The Mapguides are simple, effective, colorful, and easy to use for both tourists and travelers and can serve as the only walk around travel guide and map you’ll need. At about 5″ by 7″, a Mapguide will fit comfortably into your pocket or purse. From what we can tell, guides are available for the following: New York, London, Paris, Munich, Rome, Venice, Milan, Barcelona, Stockholm, Normandy, Shanghai, Istanbul, Moscow, Hong Kong , Athens, Dublin, Rio de Janeiro, San Francisco, Washington, D.C., Vienna, Naples, Budapest, Italian Lakes, Hawaii, Majorca, Beijing, Berlin, Provence and Cote D’Azur, Brussels, Miami, Bangkok, St. Petersburg, Dubrovnik, Crete, Warsaw, Havana, Montreal, Budapest, Boston, Edinburgh, and Marrakesh.